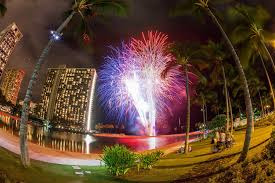 Friday Night Fireworks Off The Lagoon! 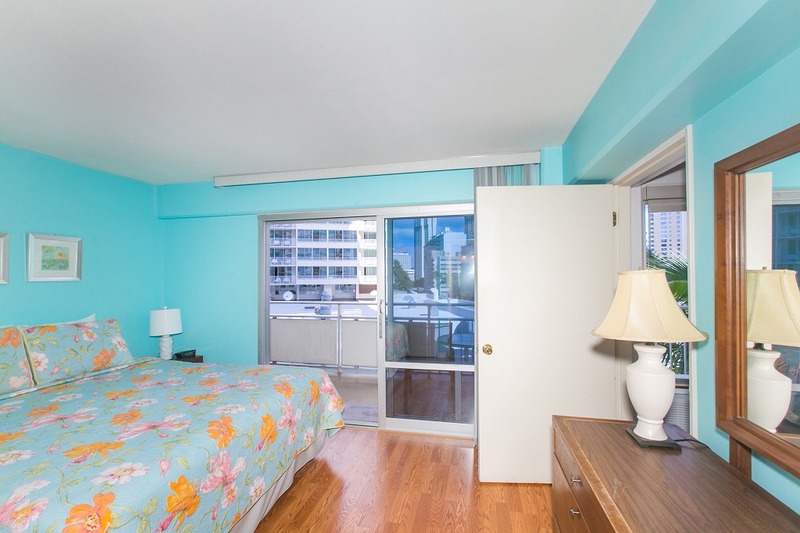 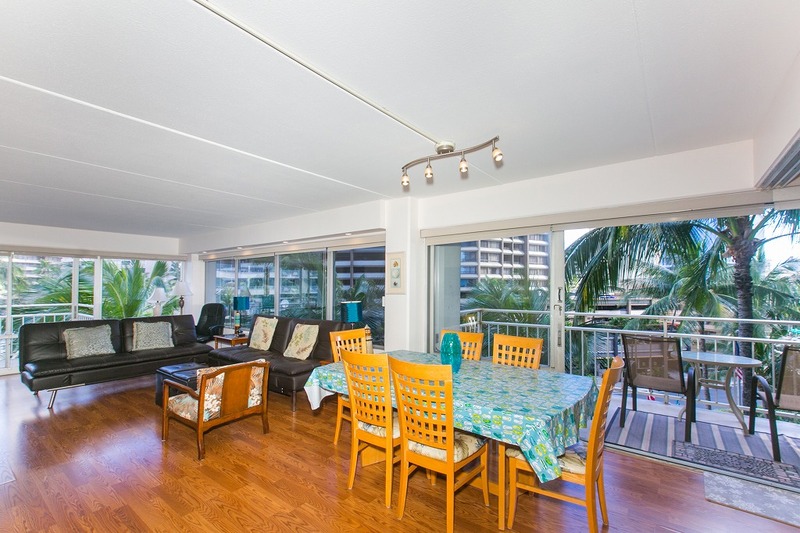 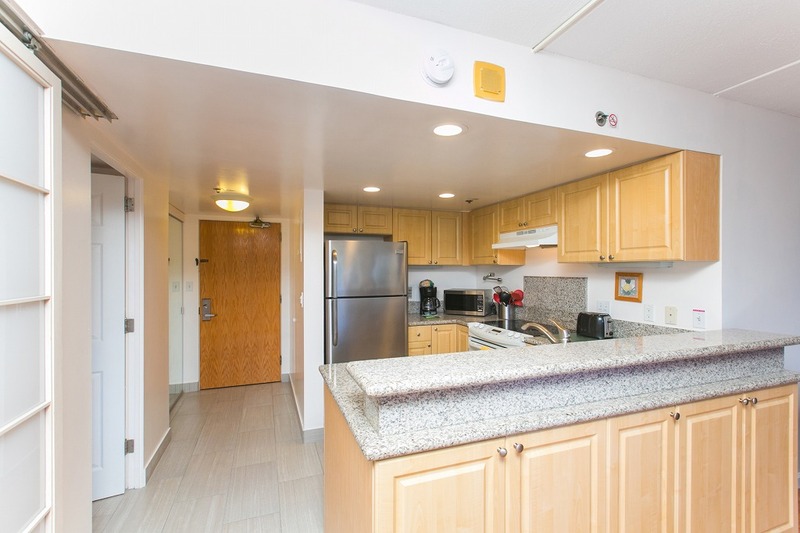 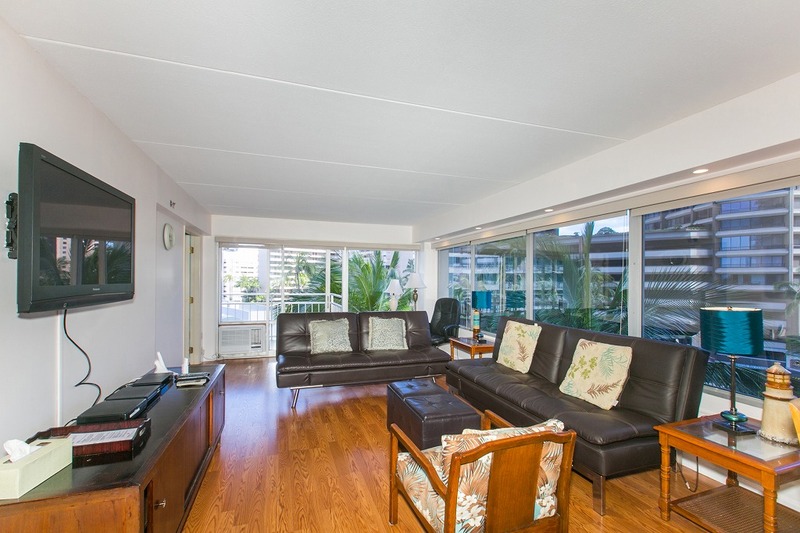 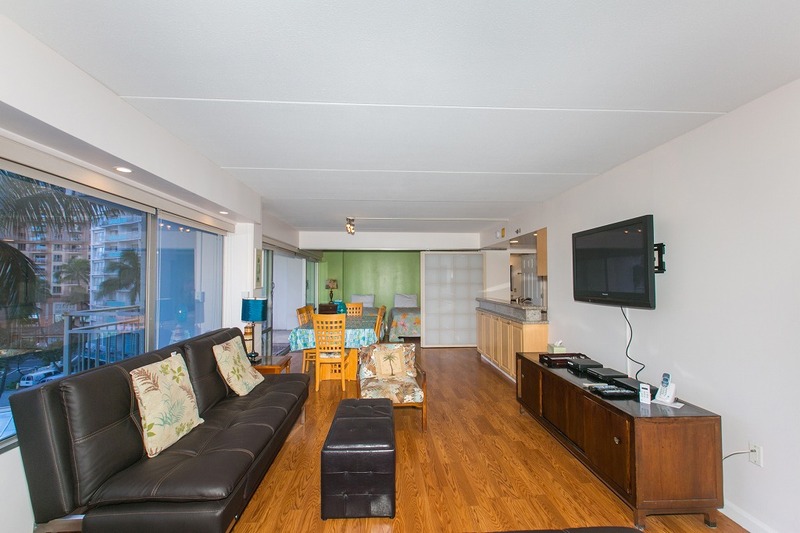 Spacious 2-Bedroom Located Near The Waikiki Beach! 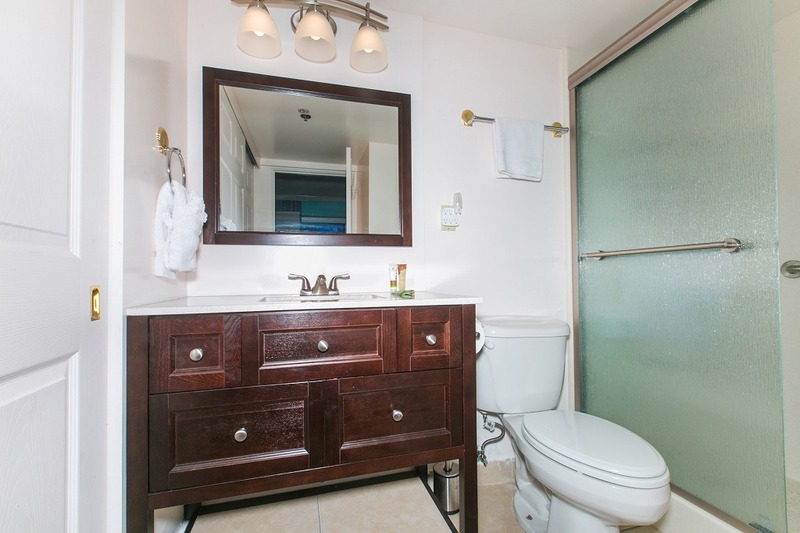 This 2 Bedroom Deluxe City View on the 4th Floor features beautiful hardwood flooring throughout the living and bedrooms. 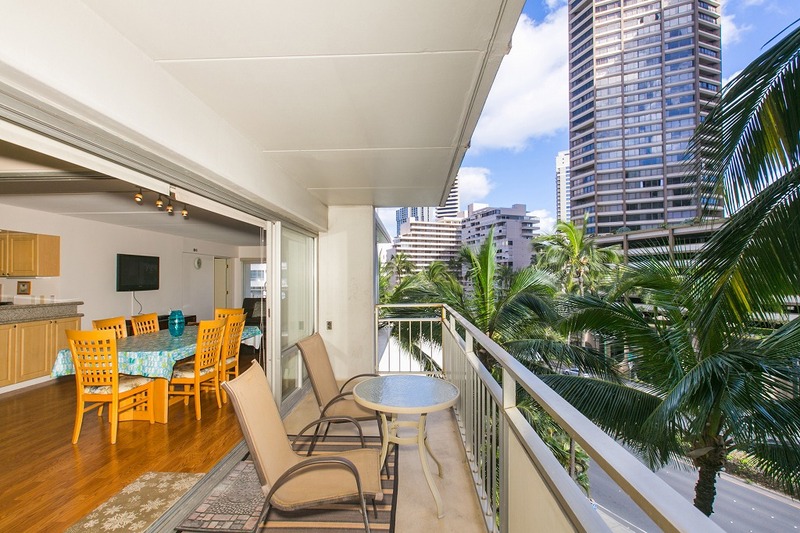 Recline in front of the flatscreen TV in the leather couch, enjoy a home-cooked meal with the full kitchen, or just watch the bustle of Waikiki. 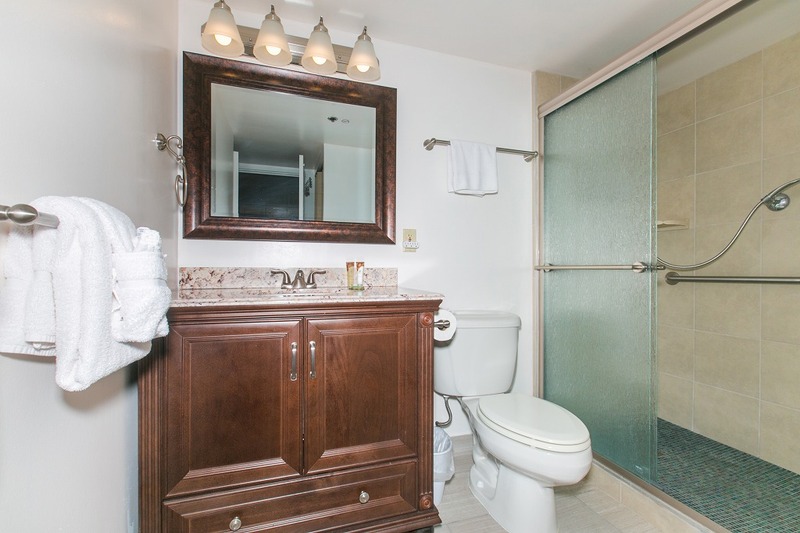 One full bathroom with a tub, and one with a shower. 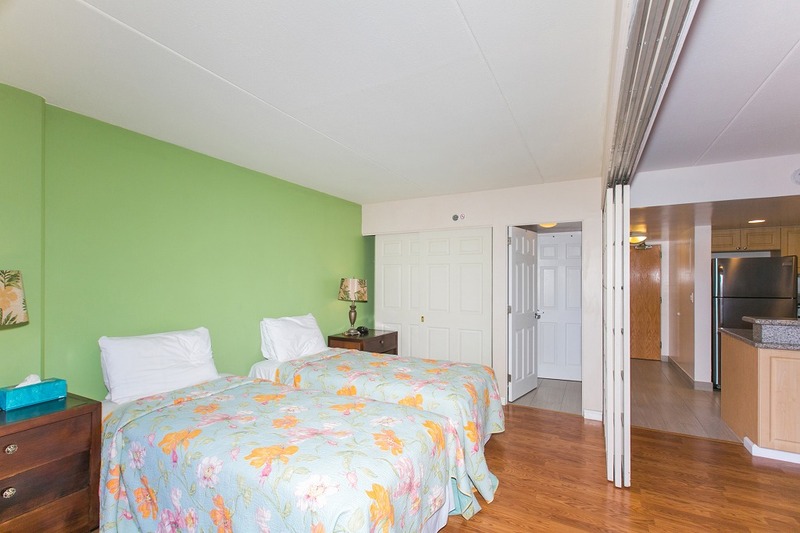 The unit sleeps up to six people with a king bed, two twins, and a pull-out sofa. 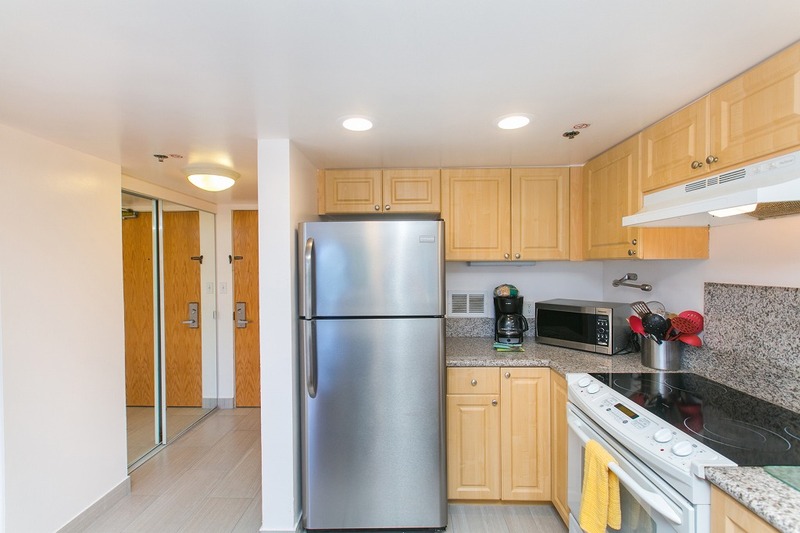 Free wifi, telephone, and long-distance included. 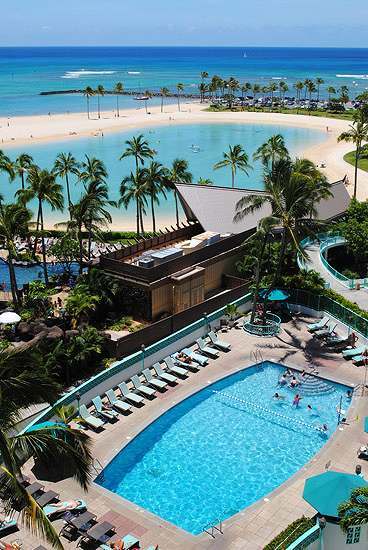 Just a quick walk away, is Hilton Hawaiian Village with fireworks every Friday evening. 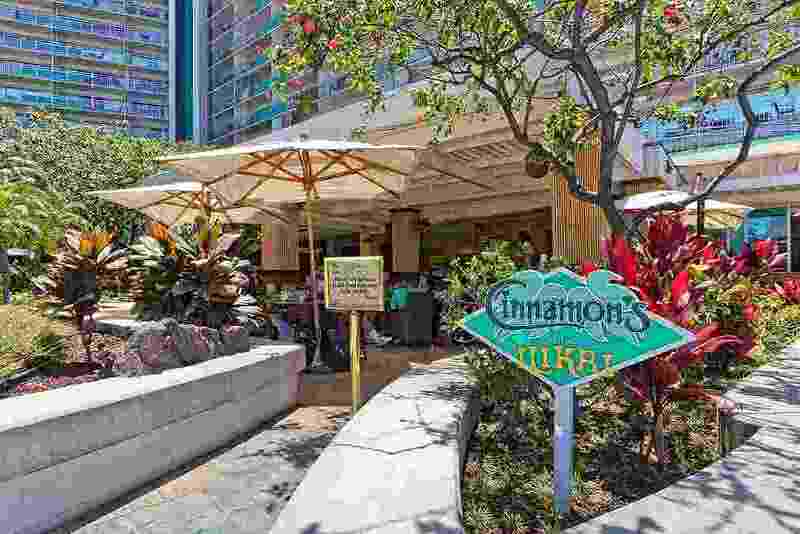 The Duke Kahanamoku Lagoon is nearby and perfect for the little ones to play & for you to sun bathe. 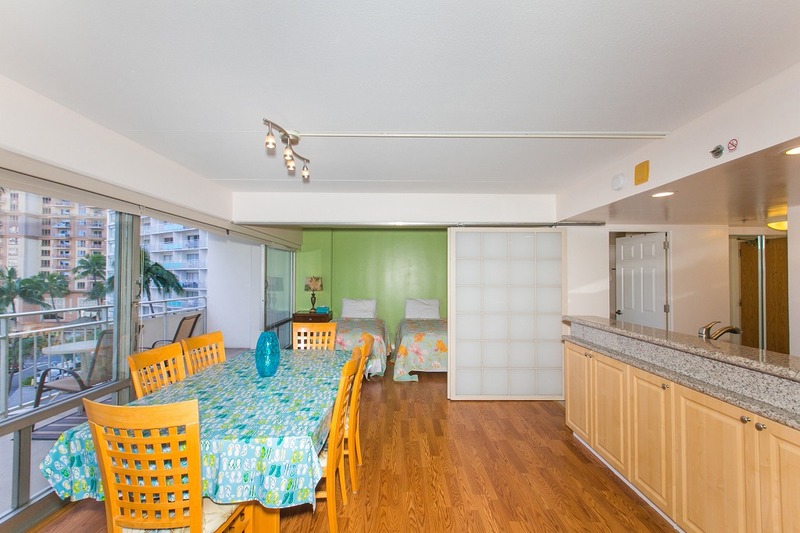 Located nearby is Ala Moana Beach Park and Magic Island, making the perfect spot to BBQ, exercise, or sun bathe. 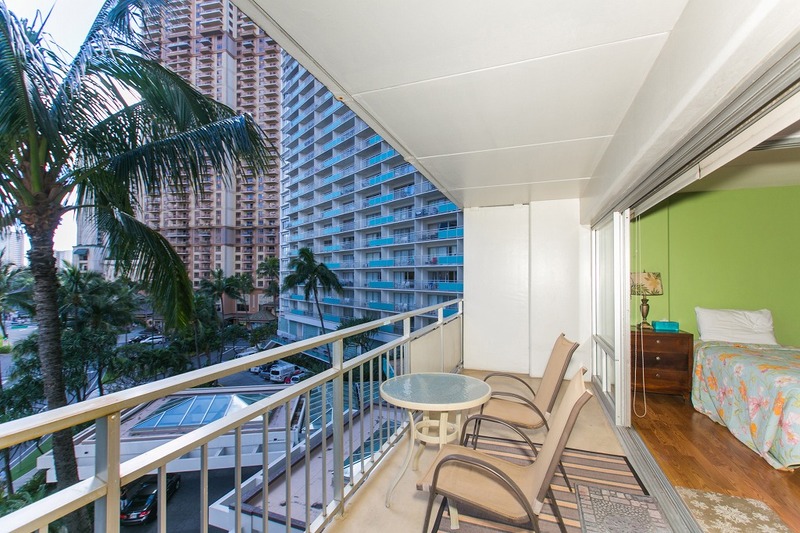 You'll be happy to have chosen Hawaii as everyday & night you'll often see fantastic rainbows and the glorious city lights the lanai.